Skinny Taste is always serving up delicious recipes that are low in calorie and good for your body. I love exploring the web to find blogs that support a healthy lifestyle, but still allow for fun in eating better. I think sometimes people focus so much on the diet aspect of a lifestyle, that they lose out on all the fun! 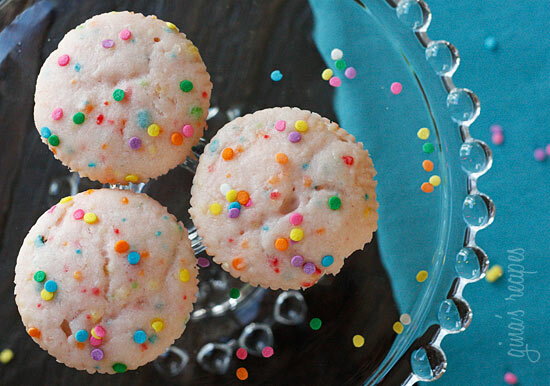 When I saw these Pink Lemonade Confetti Cupcakes at only 97 calories a pop, I had to share. Live a little. Add some color to your life!